On 5 of December in Moscow, Google Cloud Developer Meetup event has occurred. Now we will tell about the main points of this meeting, where the presentation of Google cloud services for developers took place. There are hardly people left who don’t know what the clouds are using for and how they evolve, but many people still use physical resources. Introduction to the theme of clouds you can read here. 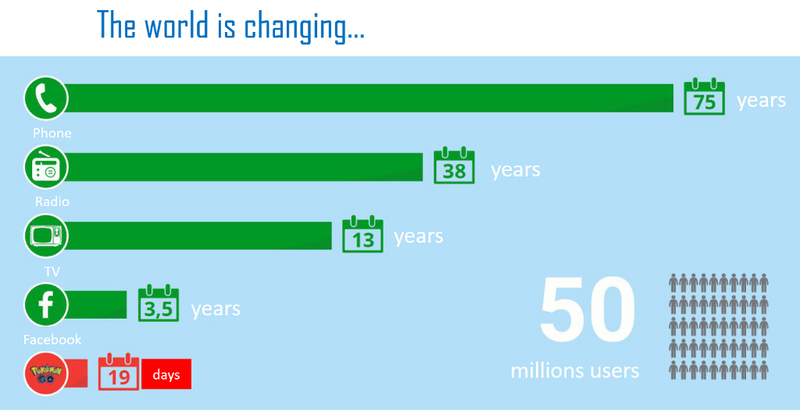 In the picture below, you may see how many years it took for each technology to exceed the level of 50 million users. Note, that each next new technology requires less time to become popular enough. 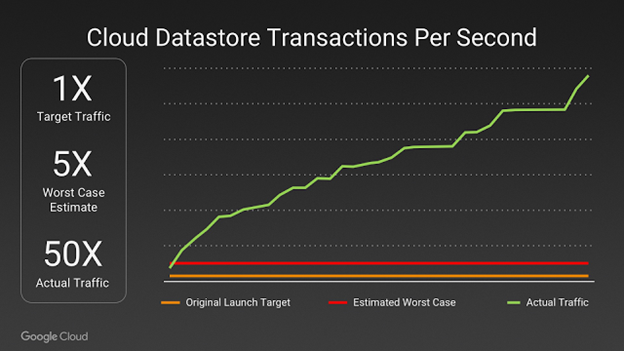 The game Pokemon GO exceeded this threshold in 19 days only (if Pokemon Go can be called a great technology)! The same can be noted in the software development field: trends are changing, new technologies are coming, but in fact, the way of developer looks as follows. It is necessary for developers to pass a difficult way, is not it? Recognizing this problem, Google has released a plenty of services and other software that have simplified life of developers for many years. So, what is the advantage of Google? The main advantage is that it has a software for all stages of development. You do not need to search for something specific somewhere on the side. 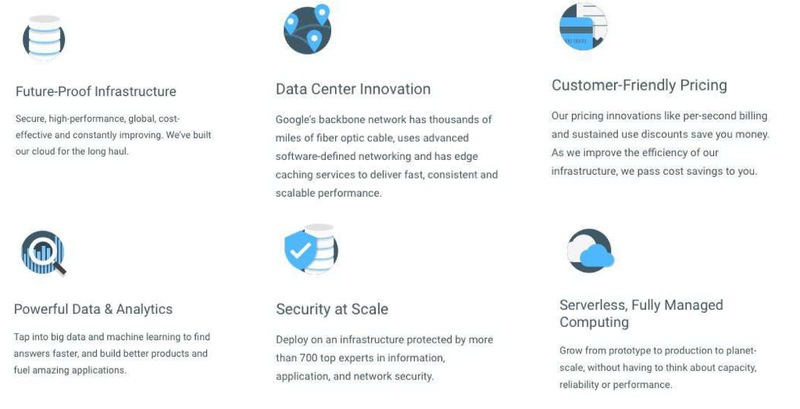 This is only a small part of the services that Google is ready to provide developers and businessmen. Although it is possible to speak about it eternally, in this article we will talk about basic services, and most importantly, compare solution cost from Google with the closest competitors AWS from Amazon and Azure from Microsoft. 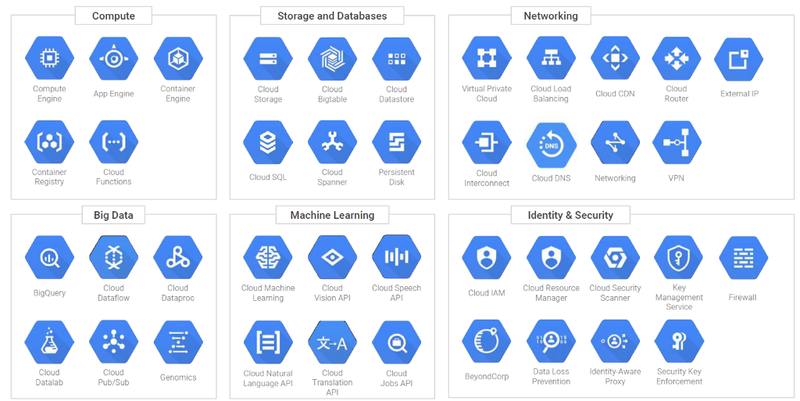 More detail can be found on the Google Cloud Platform. On the picture below you can see all main services from the follow categories: : compute, storage, networking, Big Data, Machine Learning and Identity & Security. 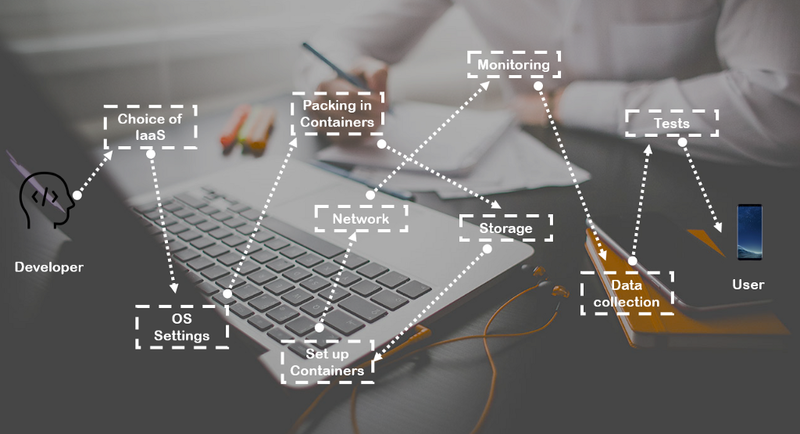 The basic element of any cloud infrastructure is the network. Google network technologies are widely represented. They are virtual networks, load balancing (single ip), etc. Virtual machines make it possible to manage service on OS or core level. There is also a platform for hosting web and mobile apps. In part of Big Data and Analytics, Google has always been ahead of the whole planet. Their Google Analytics tool is amazing indeed. The administration of all your resources is an important point also. There is a fine tuning of administrative rights to access of particular person to a specific part of your application control. For example, software developers have access to the virtual machine, marketing experts to Google Analytics tool, etc. You can run in the cloud exactly the machine configuration you need according to your resources. For example, if you have a small website, you don’t need to take more than 10 cores and 20 GB of memory. This procedure will not take more than 10–15 minutes. Compared with Google AWS (Amazon Web Services) has no possibility to create a custom configuration of the machine that you need (for example, if you need all 32 cores, then you cannot choose RAM except 256 GB, as it offered). Moreover, Google offers discount in case of extended use. Imagine that you use a virtual machine for a month. Then the first quarter of the month you pay full price, the second discount of 10 %, third 20%, fourth 30%. Also, there are recommendations for calibration of your project, if necessary. 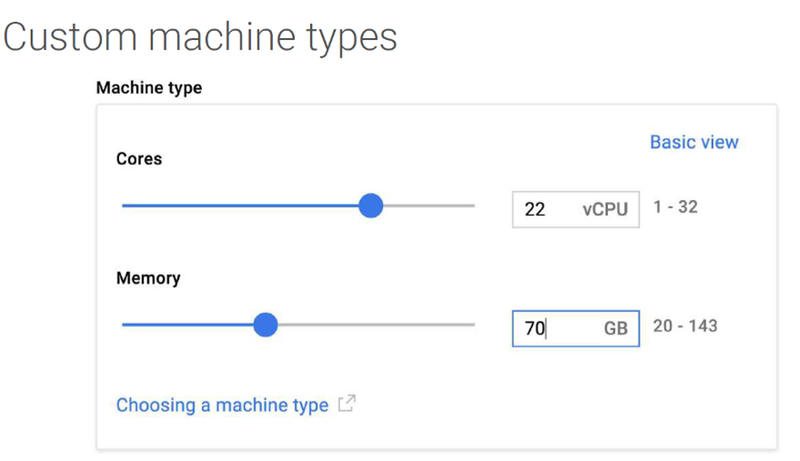 It means that, if according to monitoring data your application does not consume the resources you have (the number of CPU cores and RAM), then Google will offer to reduce extra resources to reduce the price. This information is available immediately. Similarly, in the opposite direction: if you do not have enough resources, you will be offered to refill them. May notice that using GCP we can save approximately 1,000 $ per month. Not small money. All figures are counted on the official calculators from each cloud. Thus, Google has the broadest range of tools for any task and any wishes of the developers. No need to search anywhere else, Google has everything already. In addition, a flexible pricing policy is the main advantage over other competitors who provide similar cloud solutions. 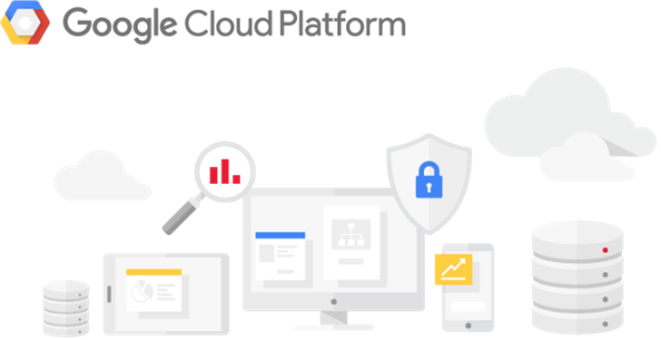 Google Cloud Platform is designed for full support of developers for projects of all sizes and purposes. Example of Pokemon Go confirms this. Of course, there are other solution like Amazon AWS and Microsoft Azure. But healthy competition is always good for the end user.